Hella Handmade Creations is prepping for their August pre-order! Launch in various time zones are as follows! Preorder sales end on August 21st at 11:59pm HST. 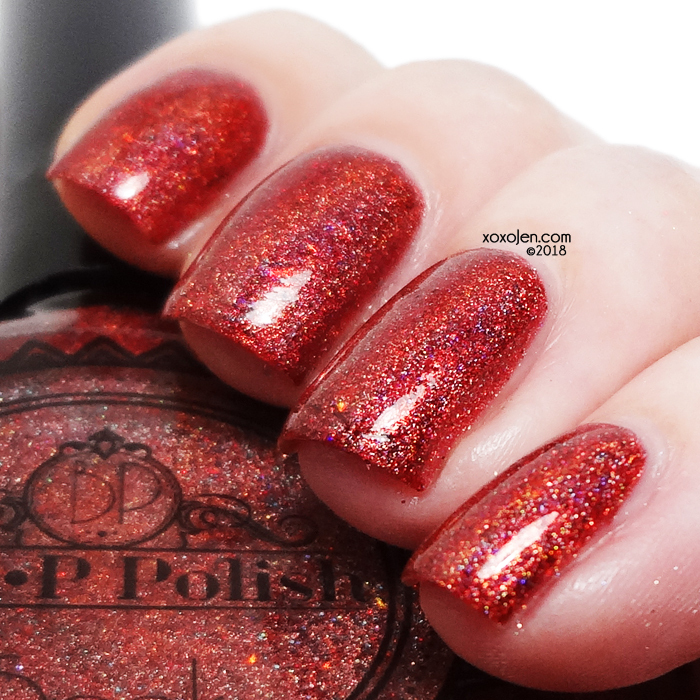 Polishes will start shipping by September 22, barring any unforeseen circumstances. I've included all the polishes that were sent to me in my review. Let's have a look! 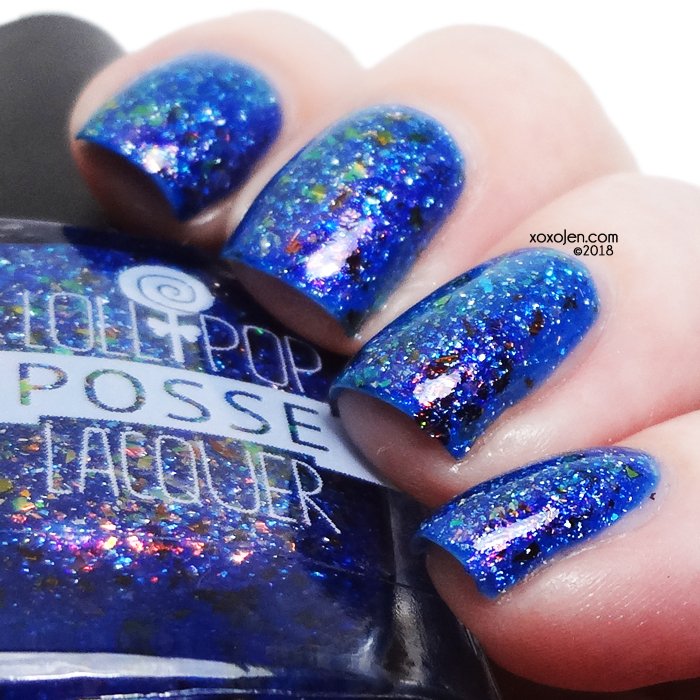 A deep dark blue magnetic polish mixed with holographic particles and blue microflakies inspired by Despicable Me. 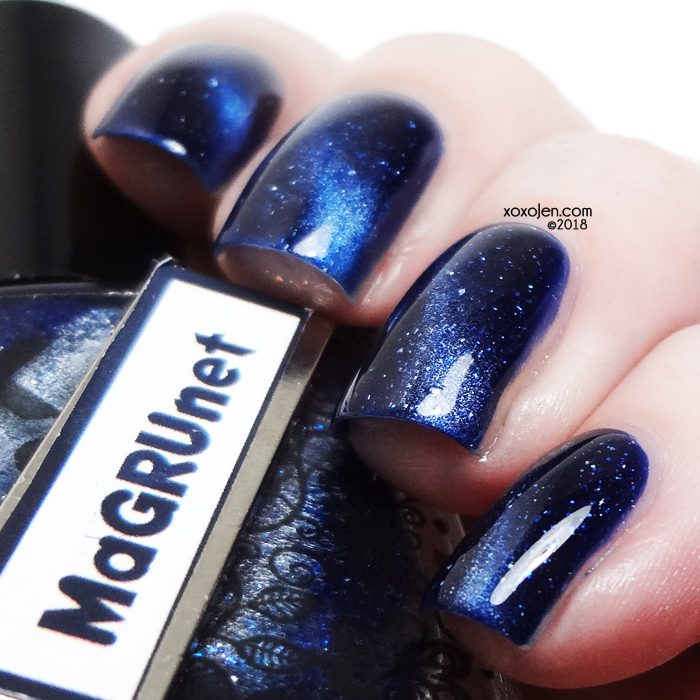 Dries smooth to the touch and glossy, polish comes with its own magnet (MaGRUnet). It can be wear alone, or with the special Top Coat called MiniOn. Offered in a box set, or Gruum Gruum alone, here's a shot of the set. 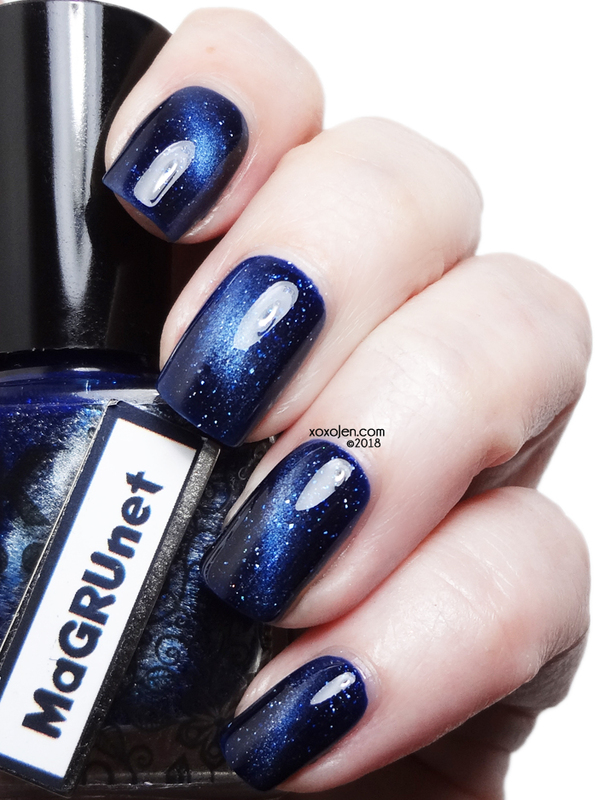 I wore Gruum Gruum alone in these photos, and used MaGRUnet that came with the polish. 2 coats shown, great application it stayed where I put it and I love the magnet it came with! MiniOn gives a gold/yellow sparkle and is also magnetic. 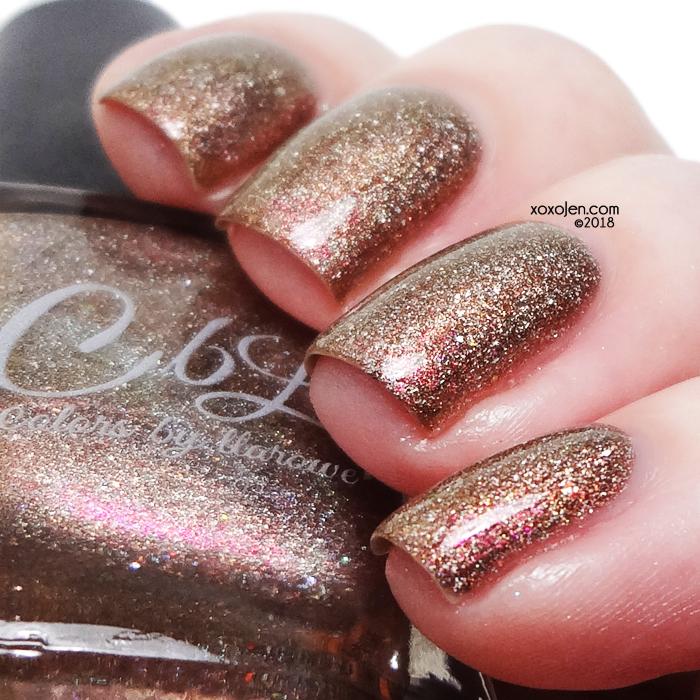 It’s a very thin TC and can be worn over other polishes. One coat over Gruum Gruum shown here, but I used my arc magnet to repel the gold sparkles away from where I used the MaGRUnet. Pretty cool effect! 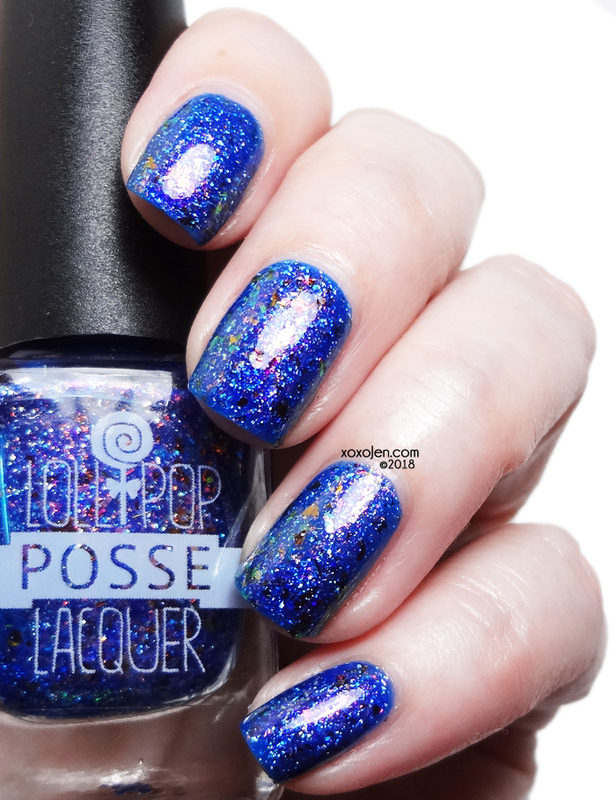 a silver polish with both scattered and linear holo with holographic silver micro-glitters, blue to green iridescent micro-glitters, and a soft blue shimmer inspired by Dr. Who. 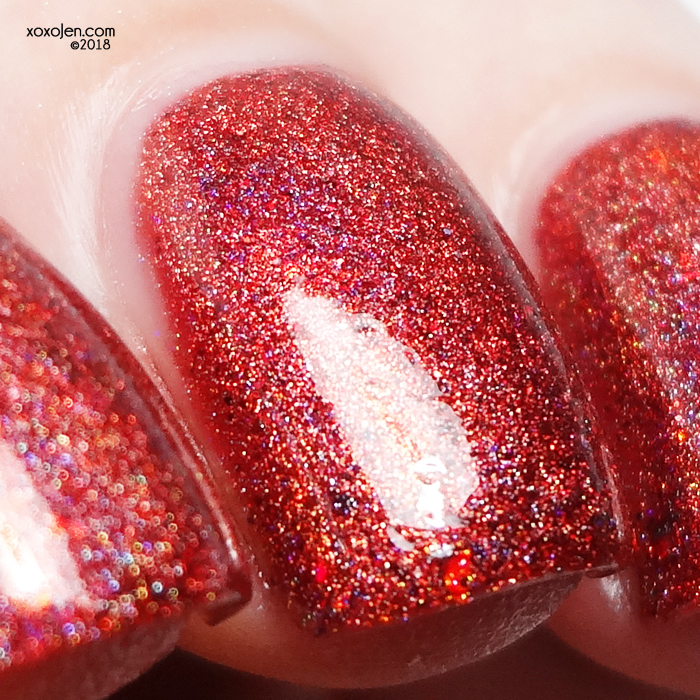 Shiny and bright, this polish will put a sparkle in your eyes and on your nails! I see an ever so slight blue leaning, but that could be the holo. I wore 2 coats, formula was good. Stella Chroma pays tribute to Talisa Stark with Queen In The North. She left behind a charmed life in Volantis to move to Westeros and become a healer. The war brought her to Robb Stark’s camp and that was that. 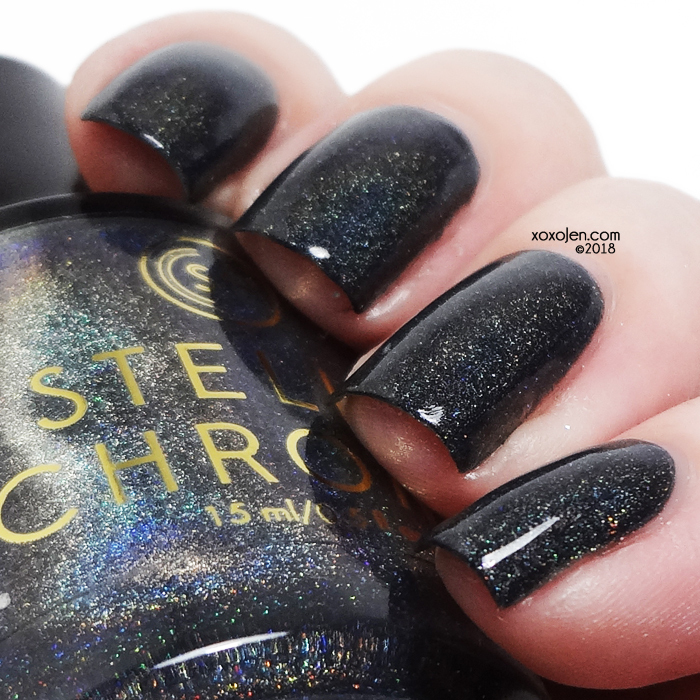 This stark blackened grey polish is highlighted by a strong linear holo flash. Understated and simple, but absolutely gorgeous. 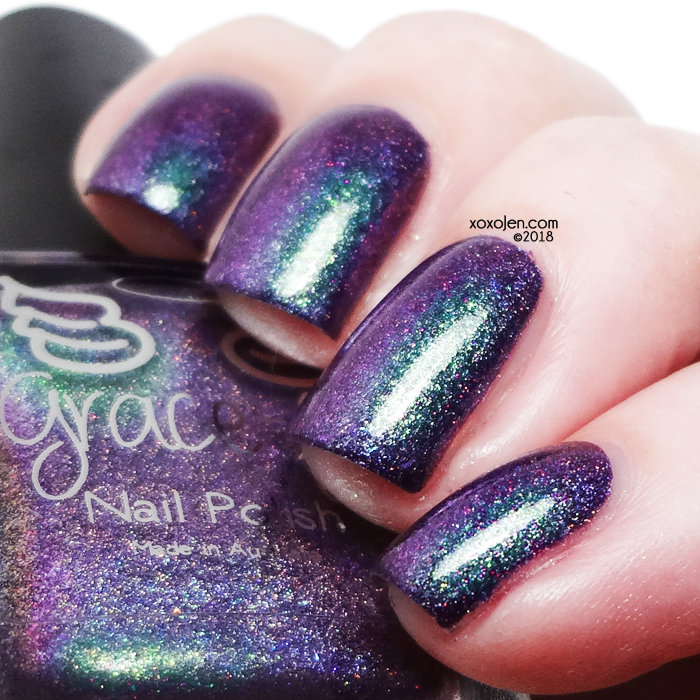 Such a creamy holo that is the perfect shade of dark grey. 2 coats, topcoat, formula was smooth and quite opaque. 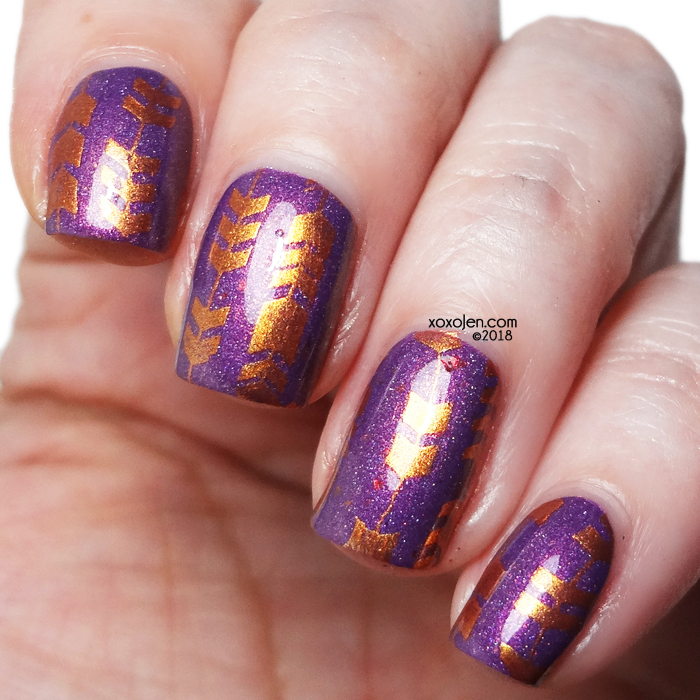 a medium plum purple linear holo polish with red/gold shimmer, copper sparks and red/gold chameleon flakies. 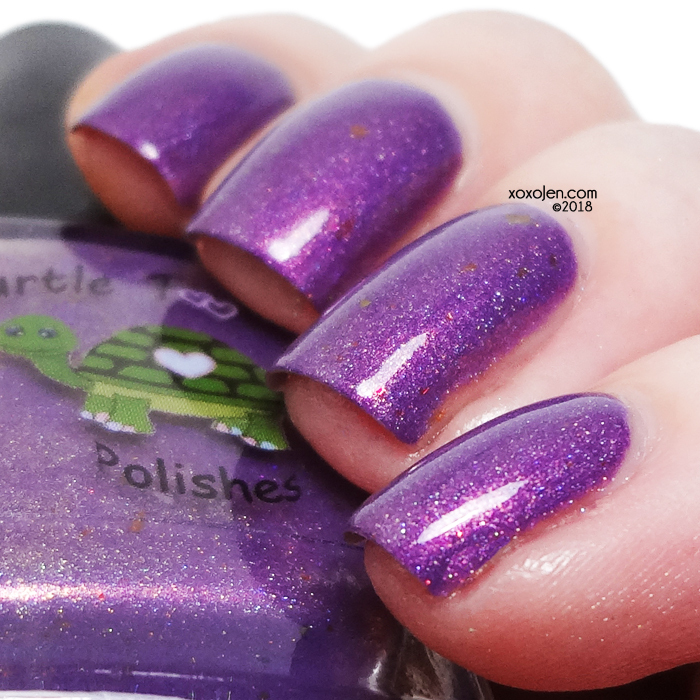 Purple is my favorite color and I absolutely love the coppery looking shimmer and shift in it! How could I not stamp it too? Such a striking rainbow! And that red is definitely an unusual hue. Such a mystery color on the nails! Is it grey? green? gold? I don't know, but I do know it's beautiful! a murky chartreuse green (is there such a thing as murky chartreuse?) full of holo and flakes and shimmer in green, gold, and blue. 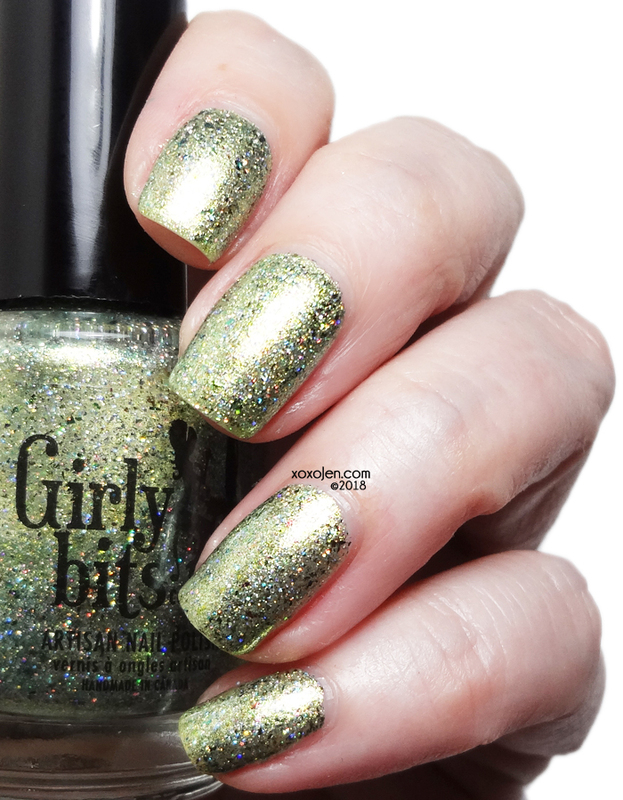 Such sparkle and shimmer and I love this shade of green! Wore this for almost a week. Not even joking. SO PRETTY. 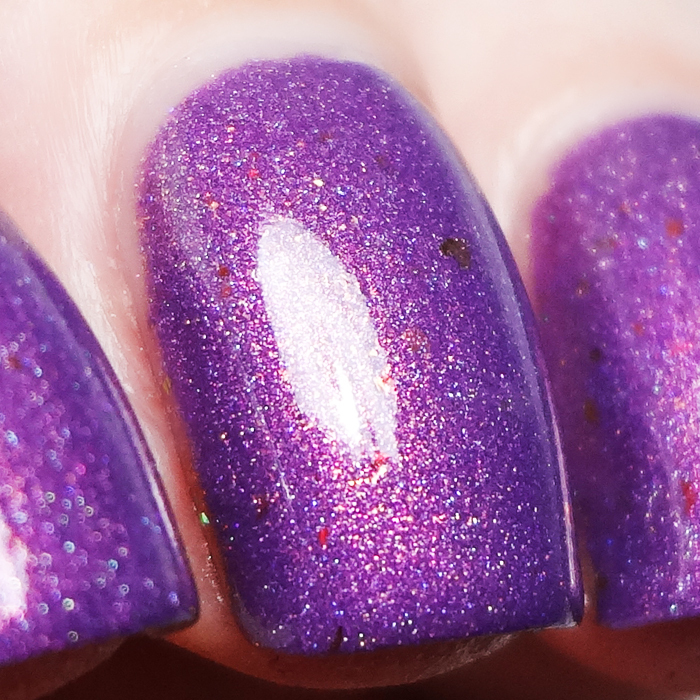 a manganese violet crelly with a blue shift, micro-glitters, holo micro flakies and iridescent flakes. So bright, I gotta wear shades. I love how vibrant this purple is! 2 coats, topcoat, easy application, good formula -- will come to you in the usual rectangle bottle shape. Inspired by Studio Ghibli, a holographic off-white polish with red shimmer, holographic red and gold microglitters, and red-bronze-copper multichrome flakes. Such a lovely smooth crelly flake! The shimmer is intense! based on the pudgy and delightful little dude from Aaah! Real Monsters! Totally love the neutral, it reads golden on me in photos but taupey on me in warm lighting. I think it would be perfect with any skin tone, it's a morpher ya'll! Inspired by Riverdale, a dusty dark blue to tan holo with two types of bronze micro flakies and a hint of shimmer. Weee thermal fun!! Blue is the cold state and tan is warm. My hands were actually cold (unusual for me) when I shot these photos so the polish was turning so fast, it was hard to catch! Wowza! What else is there to say about it? You need this. 2 coats, topcoat, easy application, good formula - might be opaque in one thicker coat. What even is this magic?! My gosh, the green shimmery shift in this is insane! I don't think I have ever been able to capture that green shift quite like this. 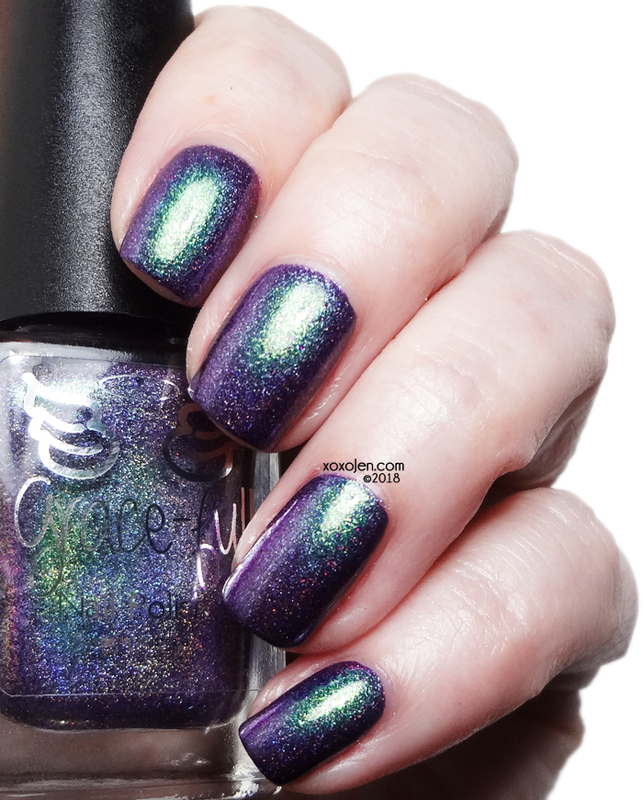 a soft lavender scatter holographic polish with strong copper shimmer! I call this one an Aubrey shade. Feminine, soft, yet sparkly and just look at the depth in it! A lot like Aubrey and her favorite type of polish! 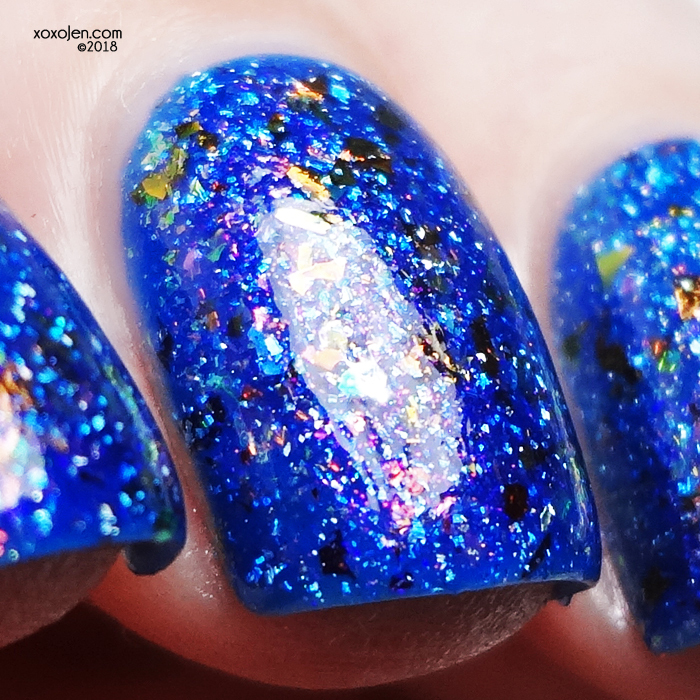 a brightened denim blue holo base with large particle shimmers that shift blue/purple/green/red. Have you noticed that there's always a little something special in each 77 Lacquer? Like extra sparkle or a surprise color popping out? I have, and you'll see both in this beaut! 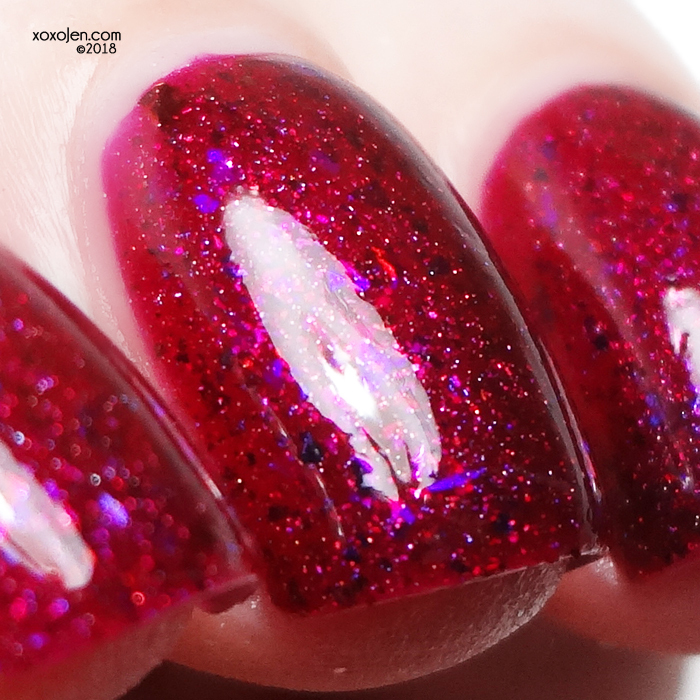 Heather's jellies are always super squishy and sparkly, and this is no exception. Don't miss out! Pink! Sparkle! Shimmer! oh my! Pink lovers rejoice! Squishy royal blue jelly base packed plum full of shifty flakie goodness and red to green shimmer! That blue though! 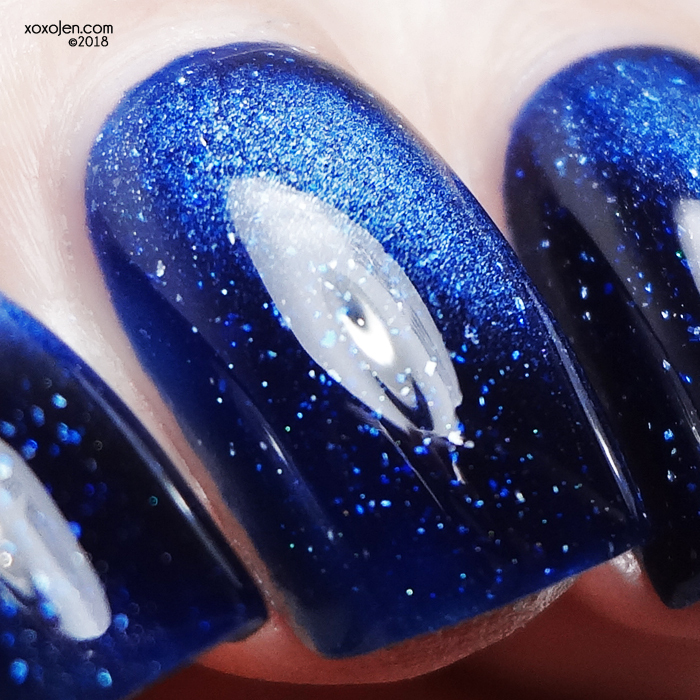 Such a vivid shade of blue and all the shifty things swimming in it make this polish a stunner. Get your list together and head over to HHC mid-August to get yours!